I left Pender Harbour quite early this morning and continued north. I stopped for a visit at Harry Roberts’ cabin on Cape Cockburn for a visit as I had never been there before. Harry Roberts (1884-1979) was an important character in the development of the Sunshine Coast and is credited with inventing the name, though he blamed his grandmother for it. 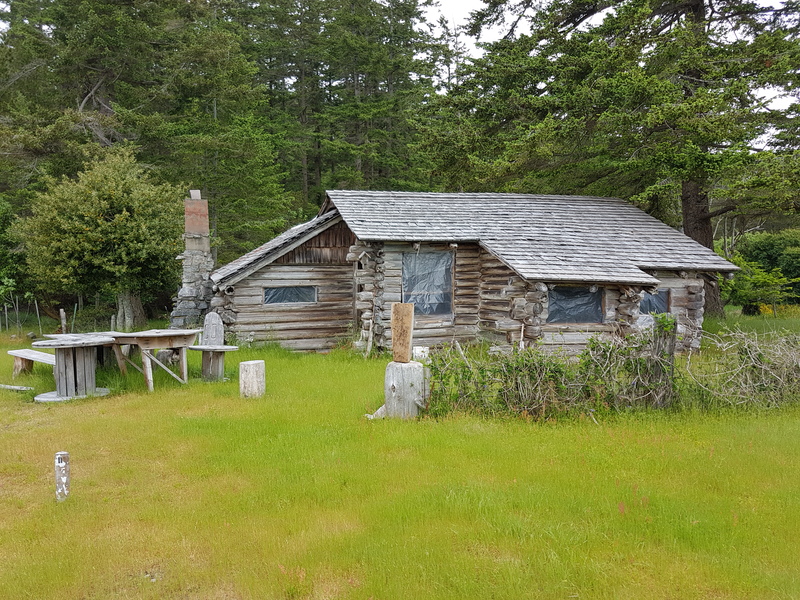 He built the cabin in 1938 and it is open today (see my picture below), situated on land that is owned by BC Hydro, the local power company, and managed by a caretaker family. Very interesting and a beautiful spot he named Sunray and he raised three children there.